Glancing at the tiny band around my wrist, it was hard to disagree with that sentiment. After all, this thing had already that day served as my room key, park ticket and FastPass+ entry (and I wasn’t even using it to buy things, because I know my spending habits and that is a dangerous proposition). The Orlando event rolled out the many, many features of MyMagic+ and extolled this new program as a game changer that dwarfs even the introduction of FastPass in 1999. Even if you look past the hype, you still have to be severely impressed by what they’ve done. As a dad who has spent many a Disney trip with cargo pockets stuffed full of park tickets, hotel room keys and souvenir money, I know I am. 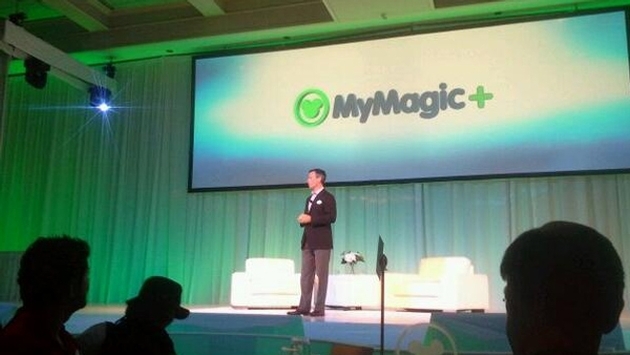 MyMagic+ starts at home with My Disney Experience. Within the website disneyworld.com and through a free mobile app, guests can link their resort reservations to their park tickets, plan out their day at the park by reserving FastPass+ times, coordinate with family and friends on who will be where and when (which anyone can tell you is a huge time saver in and of itself), make dining reservations, reserve times for character visits, and even customize their bands. Once that’s done, it’s all right there on your MagicBand, that little miracle wristband I mentioned earlier. MagicBands are included for guests staying in Walt Disney World Resort hotels and Passholders. Day guests may use their RF-enabled theme park admission to enter the theme parks and redeem FastPass+ selections or they may purchase a MagicBand ($12.95, plus tax, at merchandise locations in the parks and at Downtown Disney) and link their theme park admission to the MagicBand. 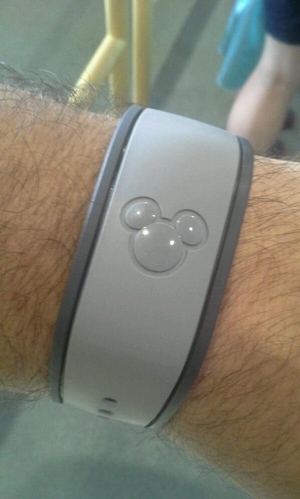 Day Guests do not need to purchase a MagicBand to enjoy the benefits of MyMagic+. If you’re staying in one of the resorts at the park, you just press the band up to your door and you’re in. No more key. Once you get to the park, you swipe your wrist across one of the ultra high-tech readers by the entrance and head up Main Street U.S.A. No more ticket. When your FastPass+ reserved time comes, you just walk right onto the ride. No waiting. It also works as a PhotoPass, letting you enjoy professional photos at some of the most scenic areas of the park. No more blurry selfies. 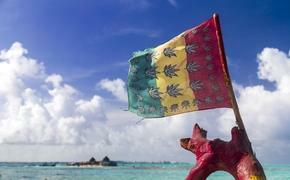 You can even link a credit card to it and use your band to pay at restaurants and souvenir stands around the park. No crumpled-up $20s filling your pockets. It’s like having a cheat code to the park. And beyond the sudden roominess of your pockets, the real power of MyMagic+ lies in the way you’re no longer sprinting across the park to make a FastPass reservation while the rest of your party waits on another ride. Your party is no longer idling while arguing over which ride to hit next. You can have it all mapped out ahead of time. Of course, spontaneity can be tricky when your whole day is planned out in advance, so Disney has that covered as well. Using the app, guests can make on-the-fly changes to their FastPass+ reservations (with free Wi-Fi throughout the park sparing you data charges). If you don’t have the app, FastPass+ kiosks are everywhere, as are stalls selling MagicBands in an array of colors. You can even buy small rubber character sliders to decorate your MagicBand (you didn’t ask, but I chose Steamboat Willy-era Mickey). Of course, you can still enjoy Walt Disney World the old-fashioned way, buying a ticket, waiting in line, and haggling with your family over whether you’re going to Tomorrowland or Adventureland first. But then you’re missing out on a whole new kind of magic.